2018 迭戈·西蒙尼[註 5] ARG ! European Cups – Performances by Coach. RSSSF. RSSSF. 2008-02-06 [2008-03-13] （英语）. European Super Cup. RSSSF. RSSSF. 2007-05-18 [2008-03-13] （英语）. ^ 1.0 1.1 Competition format. UEFA. 2016 [2017-03-12]. （原始内容存档于2017-03-12） （英语）. ^ Regulations of the UEFA Super Cup 2015-18 Cycle (PDF). UEFA. . （原始内容 (PDF)存档于2016-08-10） （英语）. ^ Dynamo bring happy memories. BBC Sport. 2001-10-16 [2008-03-11]. （原始内容存档于2017-03-12） （英语）. ^ 4.0 4.1 Ajax enjoy early success. UEFA. 1974-03-01 [2014-05-17]. （原始内容存档于2017-03-12） （英语）. ^ Dutch football mourns George Knobel. UEFA. [2012-03-07]. （原始内容存档于2017-03-12） （英语）. ^ 6.0 6.1 Bayern bow to Blokhin. UEFA. 1975-11-01 [2014-05-16]. （原始内容存档于2017-03-12） （英语）. ^ Anderlecht leave Bayern blushing. UEFA. 1976-09-01 [2011-01-08]. （原始内容存档于2017-03-12） （英语）. ^ McDermott treble lifts Liverpool. UEFA. 1977-12-15 [2014-05-16]. （原始内容存档于2017-03-12） （英语）. ^ Peet, Nick. The life and times of Bob Paisley. Liverpool Echo. 2007-11-15 [2008-03-12]. （原始内容存档于2017-03-12） （英语）. ^ Anderlecht back on top. UEFA. 1978-12-20 [2014-05-16]. （原始内容存档于2017-03-12） （英语）. ^ Burns' night for Forest. UEFA. 1980-03-01 [2014-05-17]. （原始内容存档于2017-03-12） （英语）. ^ Football legend Clough dies. BBC Sport. 2004-09-20 [2014-05-16]. （原始内容存档于2017-03-12） （英语）. ^ Valencia profit from Felman's fortune. UEFA. 1980-12-20 [2014-05-16]. （原始内容存档于2017-03-12） （英语）. ^ 14.0 14.1 Villa victorious in Europe. UEFA. 1983-02-01 [2014-05-17]. （原始内容存档于2017-03-12） （英语）. ^ Ferguson first for Aberdeen. UEFA. 1983-12-22 [2014-05-17]. （原始内容存档于2017-03-12） （英语）. 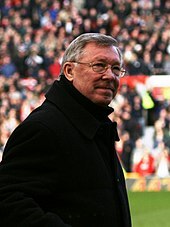 ^ 16.0 16.1 Sir Alex Ferguson. ESPNSoccernet. [2008-03-12]. （原始内容存档于2009-07-01） （英语）. ^ 17.0 17.1 Juve buoyed by Boniek. UEFA. 1985-01-20 [2014-05-17]. （原始内容存档于2017-03-12） （英语）. ^ Hagi style stirs Steaua. UEFA. 1987-03-01 [2014-05-17]. （原始内容存档于2017-03-12） （英语）. ^ Romania's Iordanescu calls time. FIFA. 2007-09-25 [2008-03-12]. （原始内容存档于2008-02-16） （英语）. ^ Sousa makes sure for Porto. UEFA. 1988-02-01 [2014-05-17]. （原始内容存档于2017-03-12） （英语）. ^ Mechelen miracle continues. UEFA. 1989-03-01 [2014-05-17]. （原始内容存档于2017-03-12） （英语）. ^ Evani seals Milan triumph. UEFA. 1989-12-20 [2014-05-17]. （原始内容存档于2017-03-12） （英语）. ^ 23.0 23.1 Sacchi considers return. BBC Sport. 2001-09-10 [2008-03-12]. （原始内容存档于2018-09-14） （英语）. ^ Dutch double lifts Milan. UEFA. 1990-12-01 [2014-05-17]. （原始内容存档于2017-03-12） （英语）. ^ Goikoetxea wins it for Barcelona. UEFA. 1993-04-01 [2014-05-17]. （原始内容存档于2017-03-12） （英语）. ^ McClair makes United's day. UEFA. 1991-12-01 [2014-05-17]. （原始内容存档于2017-03-12） （英语）. ^ Hall of Fame – Johan Cruyff. International Football Hall Of Fame. [2008-03-13]. （原始内容存档于2017-03-12） （英语）. ^ Crippa wins it for Parma. UEFA. 1994-03-01 [2011-01-08]. （原始内容存档于2017-03-12） （英语）. ^ Masterful Milan march on. UEFA. 1995-03-01 [2014-05-17]. （原始内容存档于2017-03-12） （英语）. ^ Ajax on a roll. UEFA. 1996-03-01 [2014-05-17]. （原始内容存档于2017-03-12） （英语）. ^ 31.0 31.1 Van Gaal leaves Barca. BBC Sport. 2003-01-28 [2011-01-08]. （原始内容存档于2003-02-07） （英语）. ^ Dazzling Juve shine in Paris. UEFA. 1997-03-01 [2014-05-17]. （原始内容存档于2017-03-12） （英语）. ^ Lippi resigns as Italy head coach. BBC Sport. 2006-07-12 [2011-01-08]. （原始内容存档于2017-03-12） （英语）. ^ Barça in command. UEFA. 1998-04-01 [2014-05-17]. （原始内容存档于2017-03-12） （英语）. ^ Poyet strikes late for Chelsea. UEFA. 1998-09-01 [2014-05-17]. （原始内容存档于2017-03-12） （英语）. ^ Vialli named new Watford boss. BBC Sport. 2001-05-02 [2008-03-12]. （原始内容存档于2017-03-12） （英语）. ^ Salas downs United. UEFA. 1999-09-01 [2014-05-17]. （原始内容存档于2017-03-12） （英语）. ^ Sven-Goran Eriksson Factfile. Daily Mail. 2008-06-02 [2011-01-08]. （原始内容存档于2017-03-12） （英语）. ^ Járdel doubles up for Galatasaray. UEFA. 2000-09-01 [2014-05-17]. （原始内容存档于2017-03-12） （英语）. ^ Owen keeps Reds rolling. UEFA. 2001-08-24 [2011-01-08]. （原始内容存档于2017-03-12） （英语）. ^ Madrid dazzle in Monaco. UEFA. 2002-08-30 [2014-05-17]. （原始内容存档于2017-03-12） （英语）. ^ Real win Super Cup. BBC Sport. 2002-08-30 [2008-03-13]. （原始内容存档于2017-03-12） （英语）. ^ Shevchenko show in Monaco. UEFA. 2003-08-29 [2011-01-08]. （原始内容存档于2017-03-12） （英语）. ^ Hart, Simon. Valencia hit jackpot in Monaco. UEFA. 2004-08-27 [2011-01-08]. （原始内容存档于2017-03-12） （英语）. ^ Demetriou, Greg. Cissé inspires Liverpool comeback. UEFA. 2005-08-26 [2011-01-08]. （原始内容存档于2017-03-12） （英语）. ^ Haslam, Andrew. Sevilla win big in Monaco. UEFA. 2006-08-25 [2011-01-08]. （原始内容存档于2017-03-12） （英语）. ^ Tottenham make Ramos head coach. BBC Sport (BBC). 2007-10-27 [2008-03-13]. （原始内容存档于2008-03-17） （英语）. ^ Ashby, Kevin. Milan triumph again in Monaco. UEFA. 2007-08-31 [2014-05-16]. （原始内容存档于2017-03-13） （英语）. ^ Haslam, Andrew. Dynamic Zenit taste Super Cup glory. UEFA. 2008-08-29 [2011-01-08]. （原始内容存档于2017-03-12） （英语）. ^ Lyon, Sam. Man Utd 1–2 Zenit St Petersburg. BBC Sport (BBC). 2008-08-29 [2008-08-30]. （原始内容存档于2017-03-12） （英语）. ^ Haslam, Andrew. Pedro pounces to add to Barça glory. UEFA. 2009-08-29 [2011-01-08]. （原始内容存档于2017-03-12） （英语）. ^ Stevenson, Jonathan. Barcelona seal Super Cup triumph. BBC Sport (BBC). 2009-08-28 [2009-08-28]. （原始内容存档于2017-03-12） （英语）. ^ Harroid, Michael. Slick Atlético seal Super Cup success. UEFA. 2010-08-27 [2014-06-05]. （原始内容存档于2017-03-12） （英语）. ^ Ashby, Kevin. Barcelona beat Porto for fourth UEFA Super Cup. UEFA. 2011-08-26 [2014-06-05]. （原始内容存档于2017-03-12） （英语）. ^ Ashby, Kevin. Falcao fires Atlético to Super Cup glory. UEFA. 2012-08-31 [2012-08-31]. （原始内容存档于2017-03-12） （英语）. ^ James, Andy. Bayern defeat Chelsea on penalties in Super Cup. UEFA. 2013-08-30 [2013-08-30]. （原始内容存档于2017-03-12） （英语）. ^ Hart, Simon. Ronaldo fires Madrid to Super Cup glory. UEFA. 2014-08-12 [2014-08-12]. （原始内容存档于2017-03-12） （英语）. ^ James, Andy. Barcelona's triumph: Super Cup talking points. UEFA. 2015-08-12 [2015-08-12]. （原始内容存档于2017-03-12） （英语）. ^ Dani Carvajal’s stunning late goal gives Real Madrid Super Cup win over Sevilla. The Guardian. Reuters. 2016-08-09 [2016-08-10]. （原始内容存档于2017-03-12） （英语）. ^ Diego Simeone handed Europa League final touchline ban. ESPN. 2018-05-04 [2018-08-15]. （原始内容存档于2018-05-06） （英语）. ^ Diego Costa double helps Atlético beat Real Madrid 4-2 in Uefa Super Cup. The Guardian. 2018-08-15 [2018-08-15]. （原始内容存档于2018-11-24） （英语）. ^ FIFA Statutes (2012 edition) (PDF). FIFA. 2012-07. （原始内容 (PDF)存档于2012-08-02） （英语）.